This is seen before, but this time it is complete! 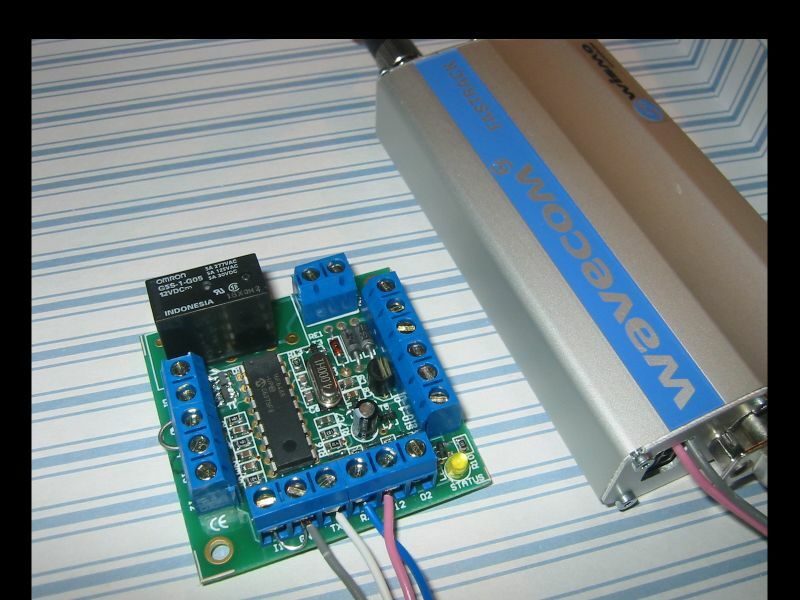 A simple GSM based monitoring and controlling system on a small board with a PIC processor holding a solid program able to control a various types of GSM modems and Cell phones. Four inputs, one power output prepared for monitoring and controlling through SMS messages on your mobile phone. Send a SMS and turn on the relay. Get a SMS if the inputs are activated or the power is lost. You can build it in your existing alarm system, or as a stand alone system. Use it in you car or where ever you like. You decide it. I call it "the bug".. This article includes the full documentation and all you will need. It for free and you can use it or modify if you like (if you like it, or do the ultimate modification feel free to drop me a mail :-).